Gender bias in the classroom, the "new" way to teach energy, and harnessing technology in science teaching - all part of our first ever Science CPD event. On 4 June 2018, Curriculum Leader of Physics Laura Wright organised our inaugural Joint Internal & External Science CPD Event, with three very different sessions on the agenda for Cambridge teachers. Attendees also included 12 PGCE students from the University of Cambridge. Here, we look at key takeaways for anyone teaching science in today's classroom. For more than 30 years, uptake of A Level physics among girls has remained at around 20%. 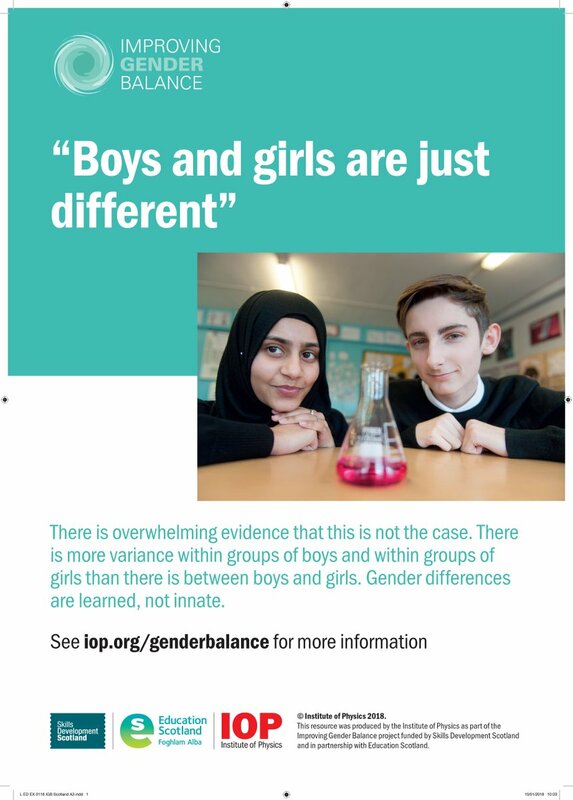 Previous research from the Institute of Physics (IoP) has shown that this 20% largely comes from a certain type of school, and that schools that achieve a good gender balance in Physics achieve a good gender balance in other subjects, suggesting that the problem isn’t with girls or Physics - whole school environment makes a difference. The latest project from the IoP has trialled interventions that looked at how bias and stereotyping could be addressed in a school environment as well how lower confidence of girls with Maths and Physics could be addressed. The project shows promising results with the number of girls taking A Level physics in targeted schools trebling. Jessica's workshop looked at what unconscious bias is, how it affects the classroom and what teachers can do about it. The new GCSE specifications contain a revised set of statements about energy, which have challenged teachers to examine and review their approach in the classroom. Alan Denton shared teaching tips to help students - and teachers - make sense of energy stores and pathways under the framework of this 'new' approach to energy. "As an ex-Physics teacher I realised how the "old" way of teaching Energy could be somewhat misleading and ultimately incorrect. This new approach has been eye-opening despite some resistance from my now "old" understanding of Energy. The speaker (Alan) made the whole experience rather entertaining considering the difficulty of the topic and made it simple with the most simple demonstration that we had the chance of repeating by ourselves." Using a wireless ultraviolet (UV), infrared (IR) and temperature probe to simulate the “Greenhouse Effect”. A piece of glass can be added/removed from the entrance of the “greenhouse”. You can see the effect of the graph as UV is absorbed by the glass pane. However, the temperature inside the greenhouse increases as UV is absorbed and re-emitted as IR. Using a wireless temperature probe to measure the temperature of the inside of a bottle as we shake the bottle. The friction between the plastic beads causes a rise in temperature: an example of energy that is 'wasted' or 'dissipated to the surroundings'. 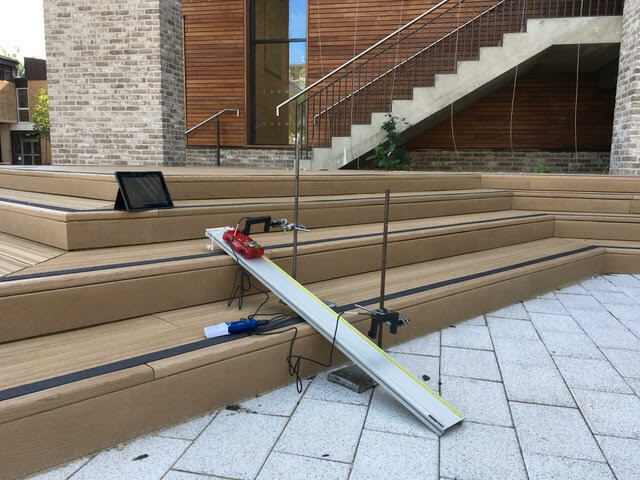 Using a wireless magnetic field probe to measure the strength of a magnetic field in a metal slinky. As you stretch or compress the slinky, the strength of the field decreases and increases respectively. We look forward to hosting similar events in the future, helping bring together Science teachers and PGCE students from across Cambridge to share in best practices and learn from the experts.